After finishing his collegiate football career at Baylor University as a quarterback and graduating from Baylor with his Master's Degree in Education in Sport Pedagogy and Coaching, and receiving his Texas teacher/coaching certificate, Ryan was faced with two options. The first was to head straight into high school coaching, and the second was to put his faith in God and start his own quarterback training business with hopes of one day being able to share his quarterbacking experiences and knowledge with other aspiring young quarterbacks who had desires of developing their skills in such a way that they could ultimately achieve their goals and dreams. Ryan had a deep background in coaching individual private lessons due to the fact that many of his summers throughout college were spent working at various camps and conducting 1 on 1 private quarterback lessons to young quarterbacks in the metroplex. In December of 2009, Ryan decided to market himself by creating a website to showcase his passion to teach and coach young aspiring quarterbacks from across the state of Texas. The website quickly became one of the top search listings on google within a few months and Ryan began receiving numerous emails from interested parents from all over the state of Texas including the entire DFW metroplex, Austin, and Central Texas areas. Since Ryan was currenlty residing in Waco and working as a youth pastor at a local church and spending the rest of his days working at the YMCA of Central Texas in the sports department, Ryan was constantly making trips to DFW and Austin on a regular basis to conduct private lessons with quarterbacks ranging from youth league kids to high school varsity players. Ryan 's QB client base from the DFW metroplex drastically grew during the Summer of 2010, and after much prayer, Ryan would later decide to relocate to his home town of Keller. Ryan was married in December of 2010 to his high school sweetheart, Brittany Brightwell, and they both now call Keller their home. 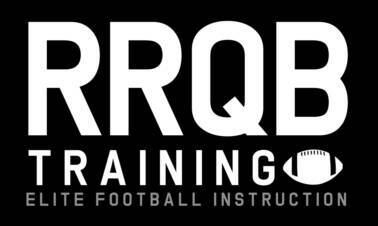 To this day RRQB TRAINING has grown tremendously to a point where it has now hired coaches from across the state of Texas to coach and develop young men of all positions. Ryan's passion to see young men develop into great quarterbacks and football players and more importantly into great Christian men of leadership and character continues to be the driving force behind everything that he does. He now prays that you will decide to become part of the RRQB TRAINING story! The overall training process of becoming a great football player obviously takes alot more than mere physical talent and skill. It is truly a grinding mental journey, that without proper inspiration, could result in the football player arriving in a very unwanted destination. So where can a football player find true inspiration? I honestly believe that the most influential and meaningful form of true and lasting inspiration comes directly from God's Word, the Holy Bible. It was through His Word and the message of Jesus Christ, that I was able to find the strength, encouragement, and inspiration that I needed to push and persevere through the most challenging times of my own quarterbacking journey and my life as a whole. The inspirational packet shown below is jam packed with Christ-centered inspirational topics which I wrote during my time at Baylor University. I pray that this packet serves as a way for my athletes and parents to be inspired and encouraged as they continually seek God's will for their lives in the sport of football. Ryan Roberts is passionate about providing young and aspiring quarterbacks and football players with the means necessary to make that great impression on their coaches at practice, to get ready to perform at the highest level possible come game time, and to ultimately achieve their athletic goals and dreams. 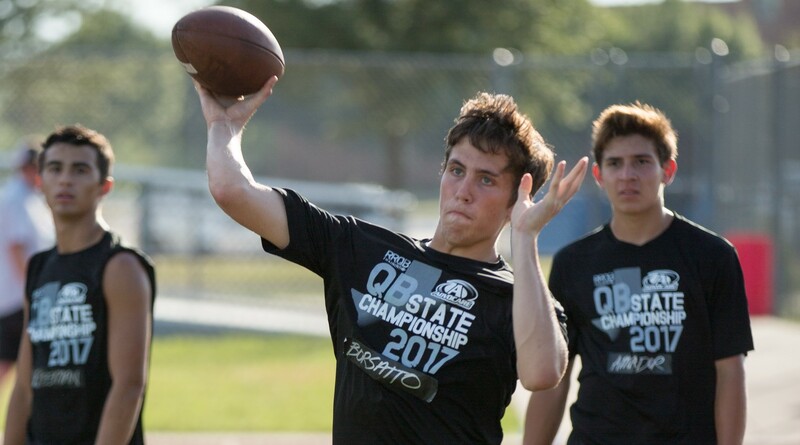 Through a strong faith, hard work, dedication, and a relentless attitude, Ryan was able to see his dreams as a quarterback come to pass, and he is now willing to share what he has learned through his high school and collegiate quarterbacking experiences to other quarterbacks who desire to gain a competitive EDGE on their competition. In today's ever increasing competitive environment, Ryan understands how important it is to be prepared to perform. He realizes that without the knowledge, experience, and training that he received during his own development through various coaches, training sessions, and camps, that he would have never been able to reach his full potential. As a sophomore in high school, Ryan was told by his Junior Varsity football coach, "You will NEVER play for me! You're too small, not athletic enough, and much better at baseball." Looking back now, after breaking every single-season passing record in History at 5A Keller High School, and earning a full ride football scholarship to Baylor University, Ryan understands that it doesn't matter what others say, it's the way you TRAIN. Now, by providing private quarterback instruction and passing camps rooted in individualized and elite instruction, Ryan believes that he can truly help young and aspiring quarterbacks develop into phenomenal high school, collegiate, and even professional passers. Today, his true desire is to help young men reach their goals and dreams, and gain that edge which could truly catapult them past their competition. Contact Ryan today and set up a private quarterback lesson or register for an upcoming quarterback camp to start your son's journey down the pathway to peak quarterback performance. *Check out an inspiring article discussing Ryan's collegiate journey at Baylor entitled, "Through it All, Roberts kept the Faith."